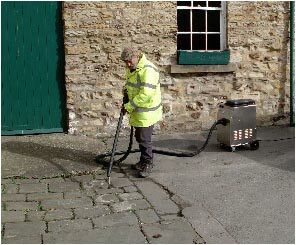 Equipment and products used and endorsed by PACTEK Environmental Services - We supply and hire specialist cleaning equipment. Steam Generators and Chewing Gum Removal Equipment, Hire, Sales and Service. We will be only too pleased to help you find a suitable product for your problem.